DESCRIPTION: Grande Ronde Hospital is a not-for-profit, 25-bed Critical Access Hospital (CAH). In addition to the Hospital and its broad range of diagnostic, surgical and therapeutic outpatient services, the main facility also houses the Regional Hematology and Oncology Clinic, the Family Birthing Center, the Rehabilitation Therapy Department and Gym, and the Home Care Services Department which includes Home Health Services and Hospice Care. 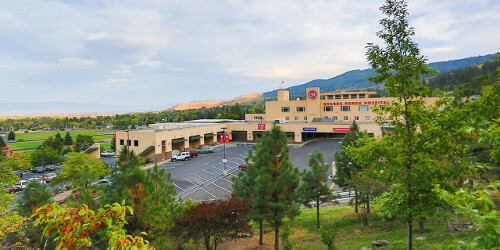 Grande Ronde Hospital is accredited by the Joint Commission and is a member of the American Small Hospital Association. This project relocates the existing chiller plant to a centralized location, freeing up valuable space for the OR expansion. Additionally, this project cleans up various issues with the site primary distribution systems and provided a preliminary emergency power study to determine the feasibility of co-locating the emergency power generator plant with the chiller plant.